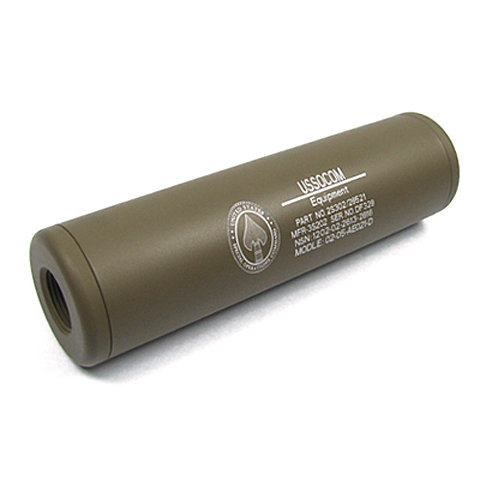 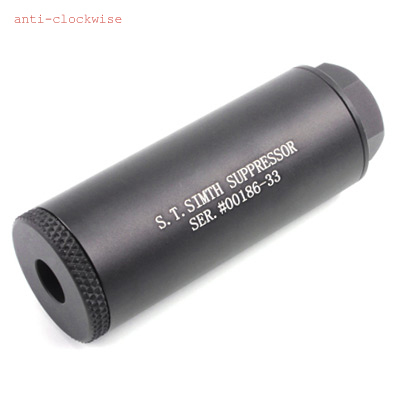 Light Weight Slim Silencer (US Socom) with clockwise and anticlockwise thread. 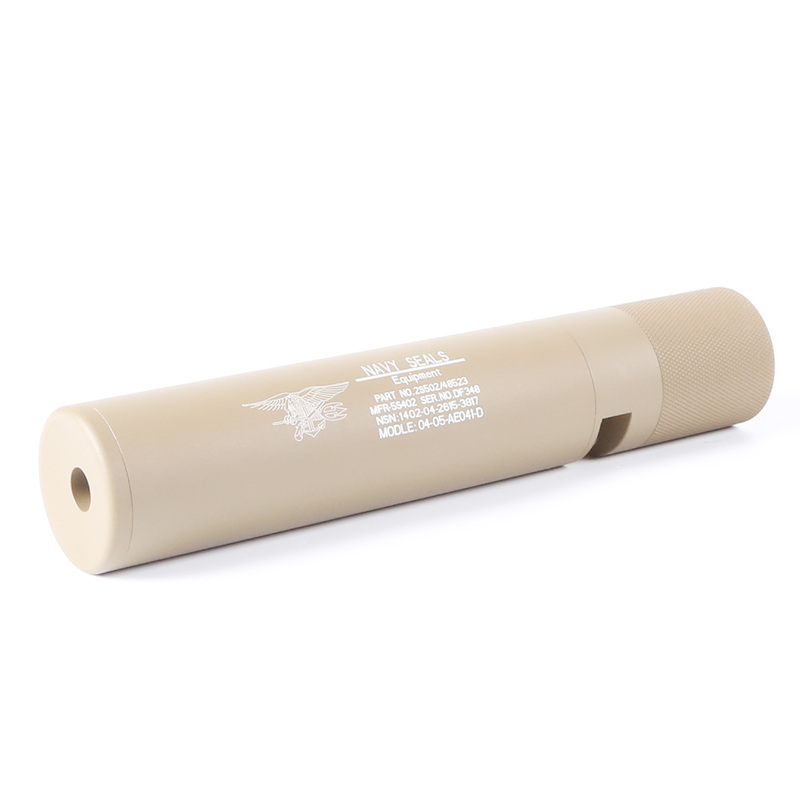 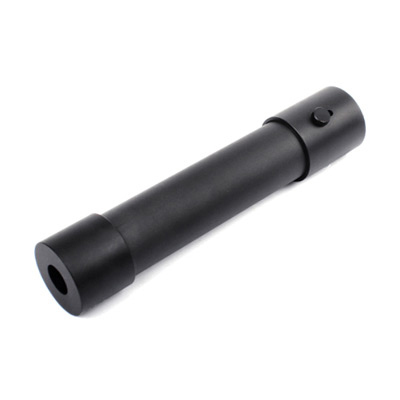 KA M3 Quick Detach Silencer with metal Flash Hider. 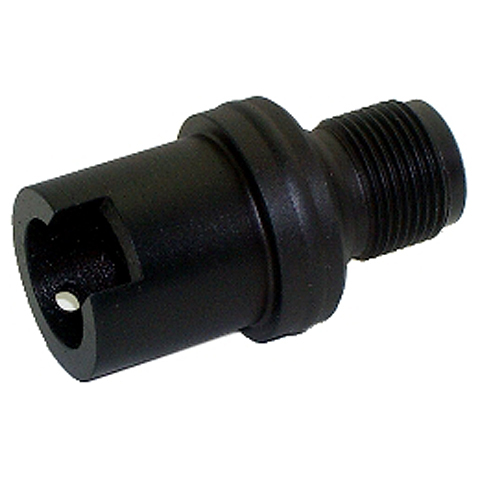 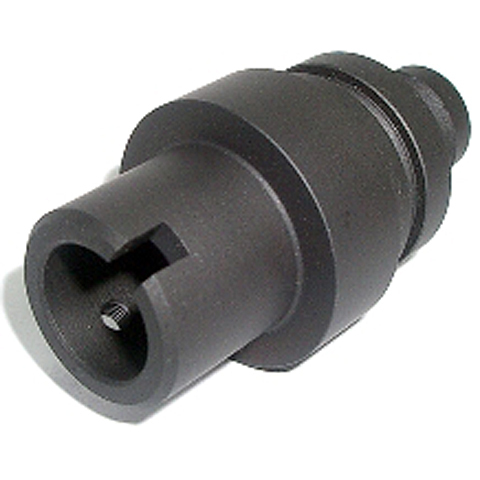 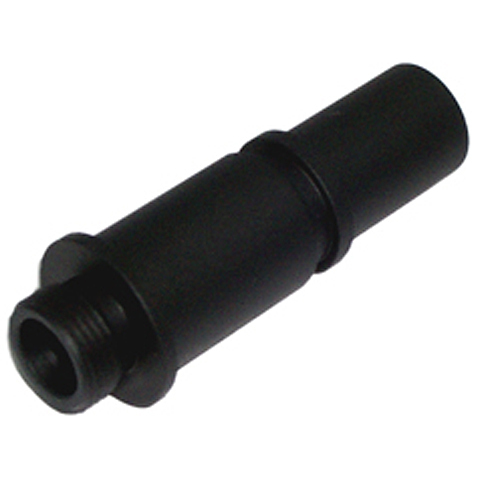 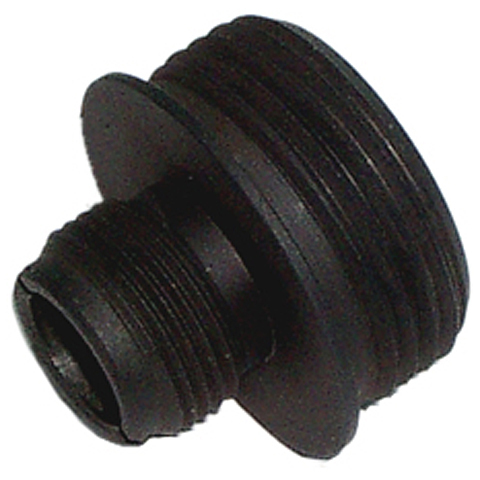 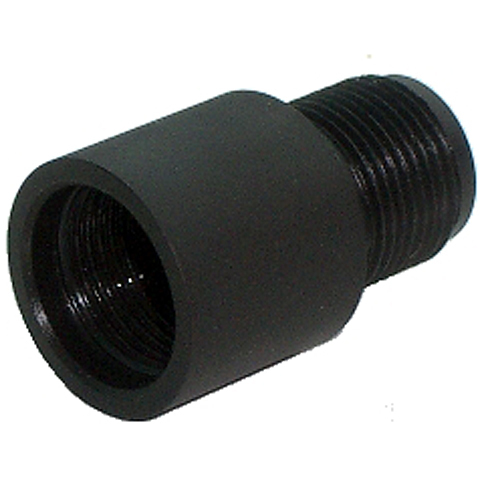 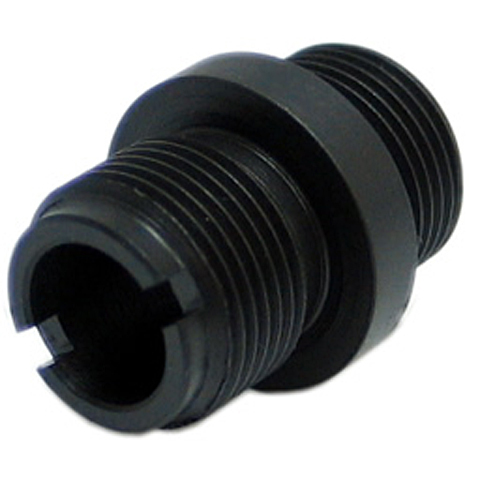 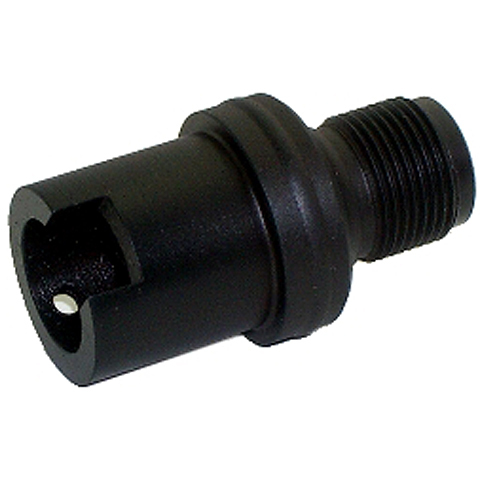 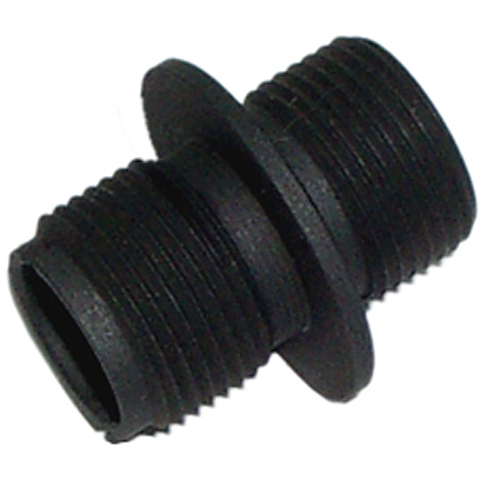 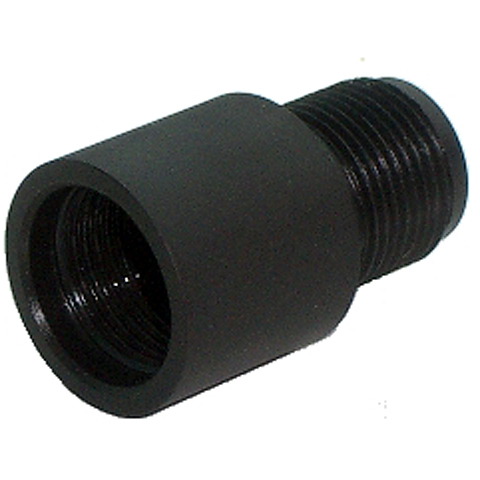 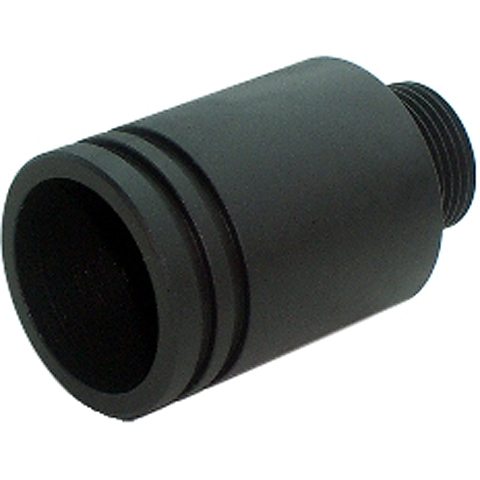 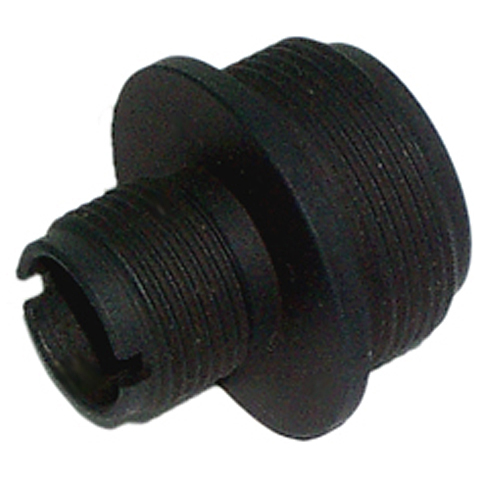 One end of this silencer adaptor is 11mm clockwise for pistol while the other end is 14mm anti-clockwise for silencer. 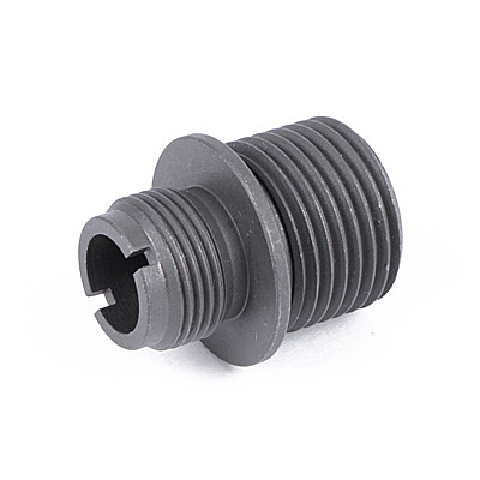 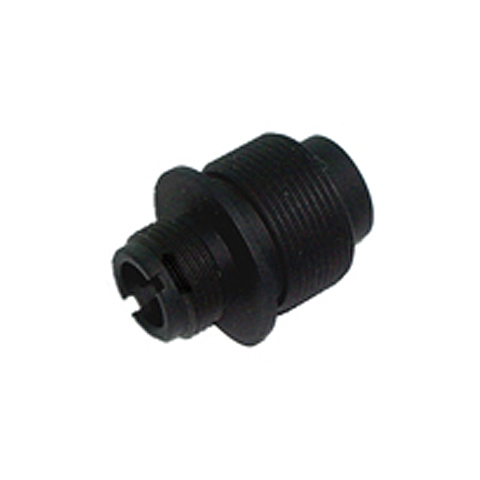 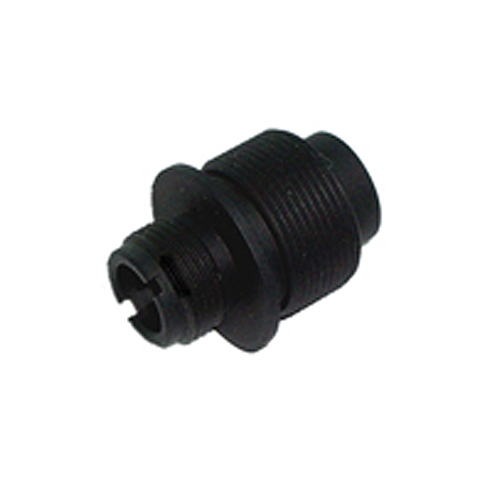 It is suitable for WE or any brands' pistol with inner thread barrel. 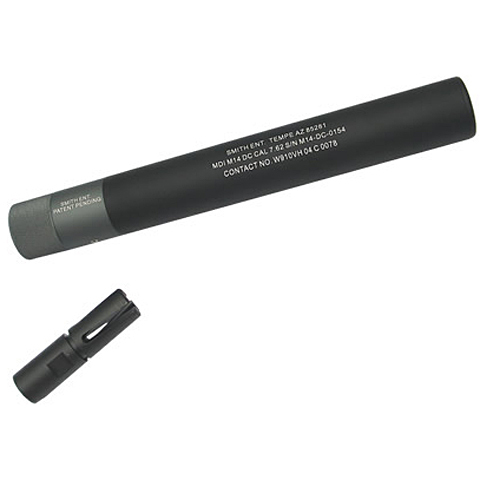 OPS Model 3rd MBS Silencer with silencer fixture. It fits with M4 Series and M16A2. 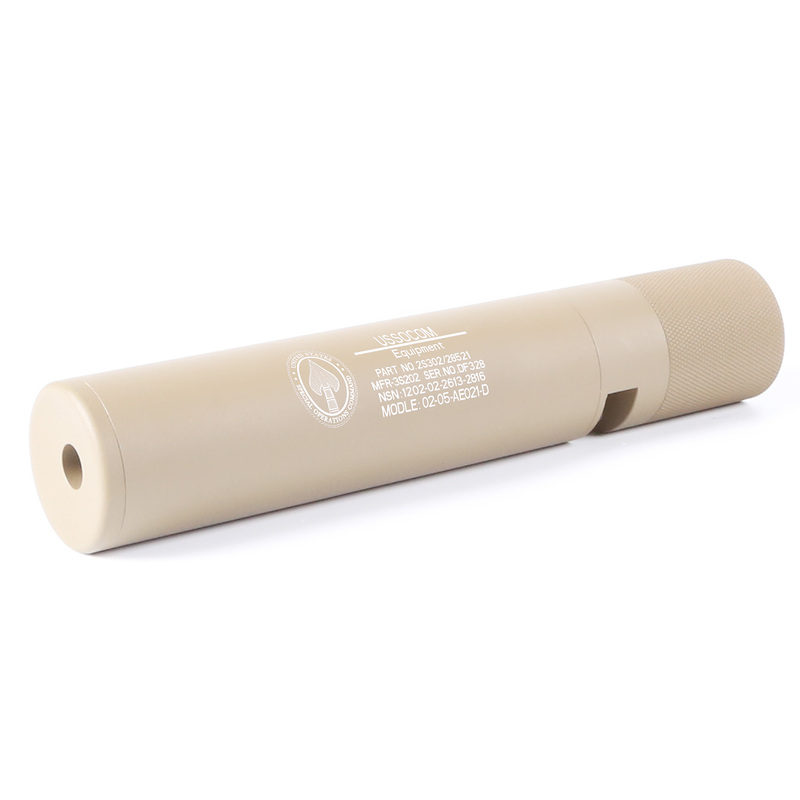 OPS Model 3rd MBS Silcener with silencer fixture. Will fits Marui M733. 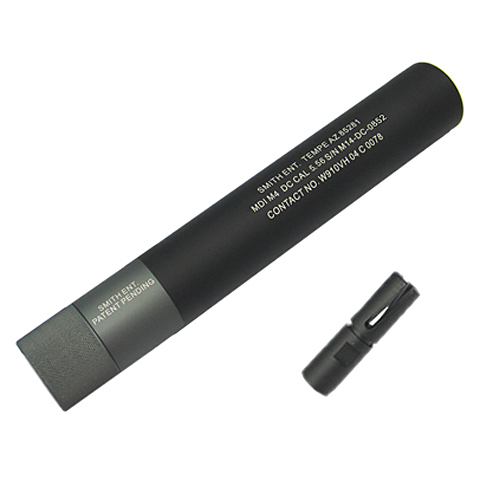 M14 DC QD Silencer Ver.2 with Flash Hider. 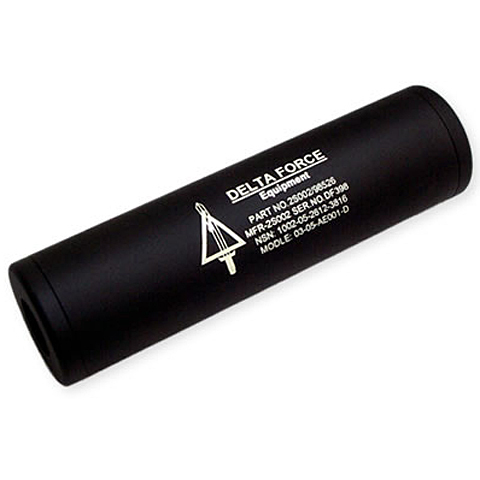 Clear laser marking. 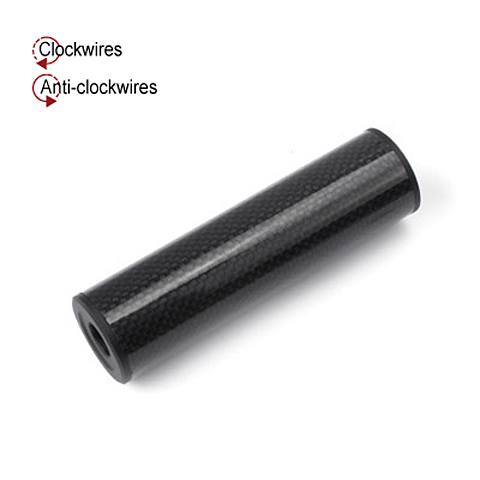 Will also fits on any barrel with 14mm anti-clockwise thread. 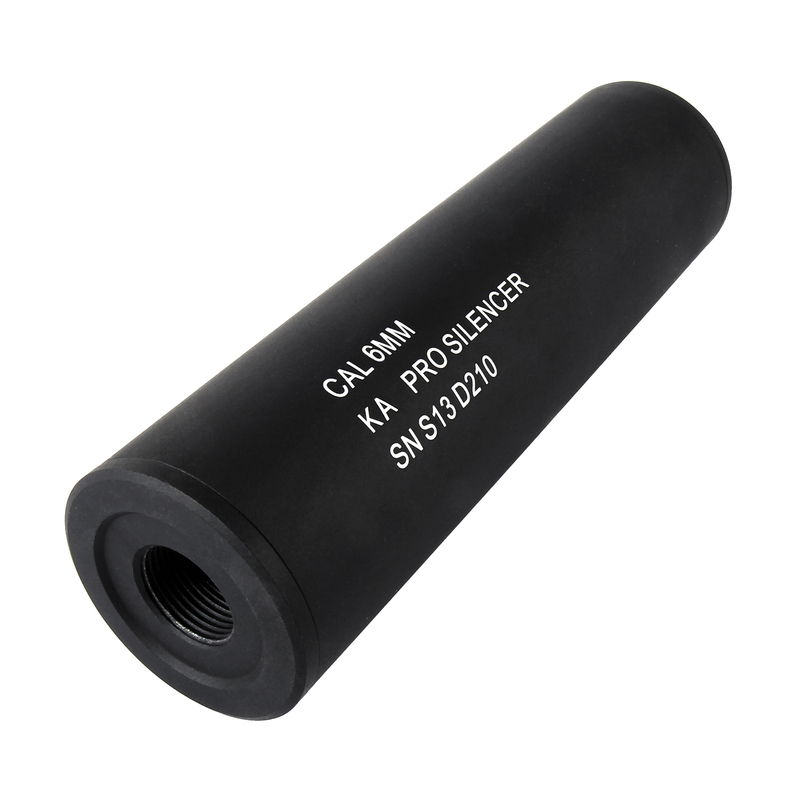 Precise CNC machining silencer adapter for King Arms K93 Sniper Rifle. 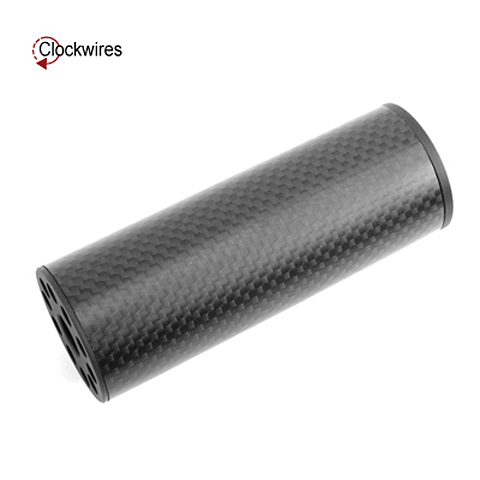 The KA Carbon Fiber Silencer Series are made from high quality Carbon Fiber and layers of durable glossy clear coating have been applied on top to achieve the wonderful finishing and protection. 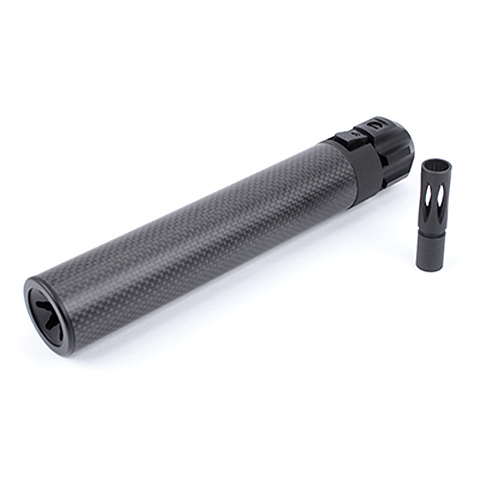 They are also extremely lightweight so it will not affect the user's mobility. 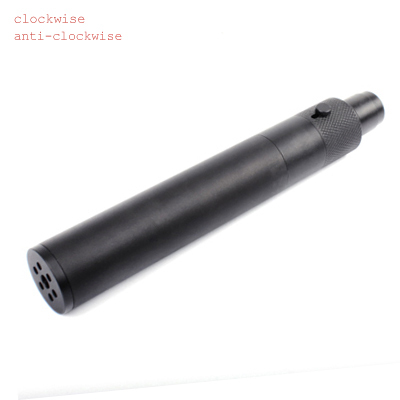 The silencer comes with clockwise and anti-clockwise thread adapter. 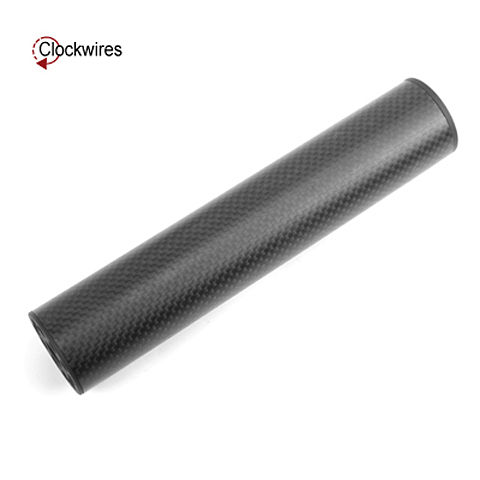 The KA Carbon Fiber Silencer Series are made from high quality Carbon Fiber and layers of durable glossy clear coating have been applied on top to achieve the wonderful finishing and protection. They are also extremely lightweight so it will not affect the user's mobility. The silencer will fit both clockwise and anti-clockwise thread outer barrel. 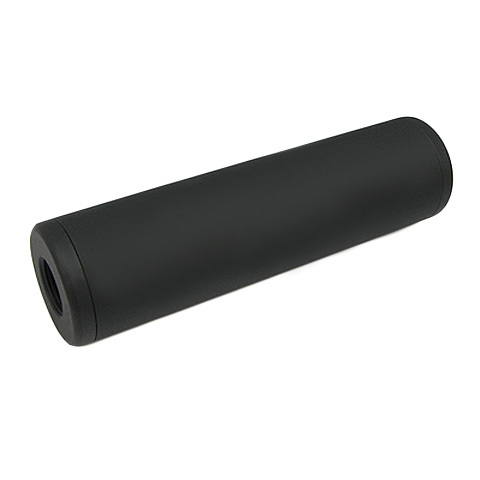 The KA Carbon Fiber Silencer Series are made from high quality Carbon Fiber and layers of durable glossy clear coating have been applied on top to achieve the wonderful finishing and protection. They are also extremely lightweight so it will not affect the user's mobility. 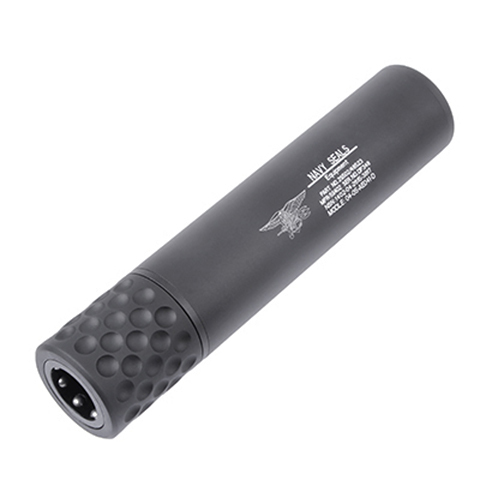 The silencer comes with clockwise and anti-clockwise thread adapter and adapter for pistol. 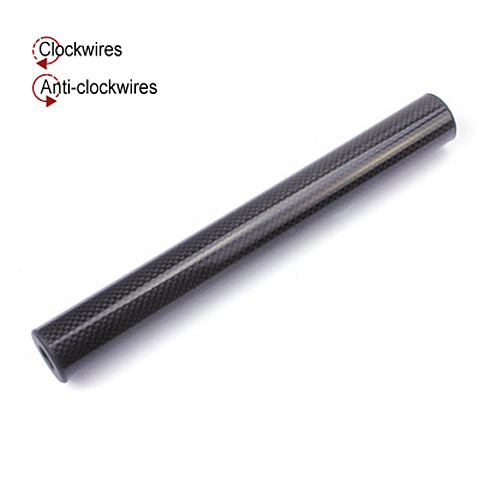 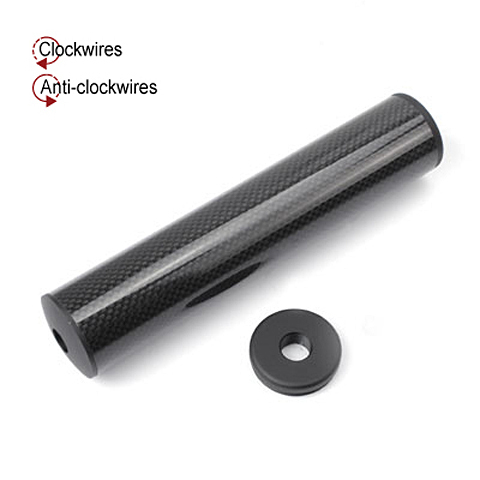 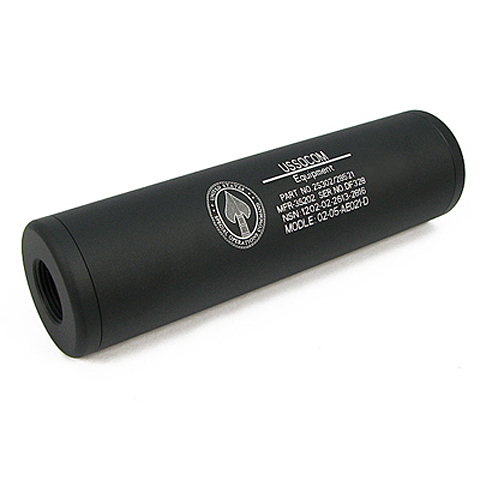 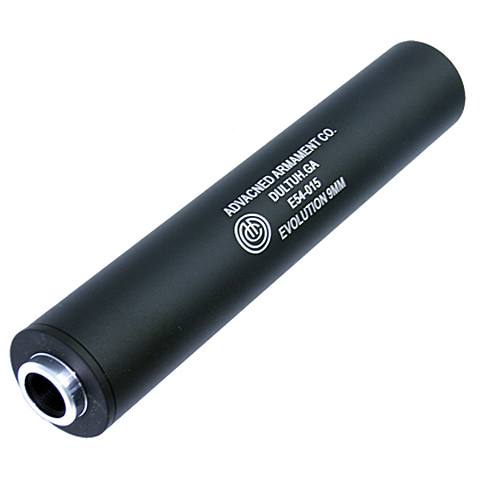 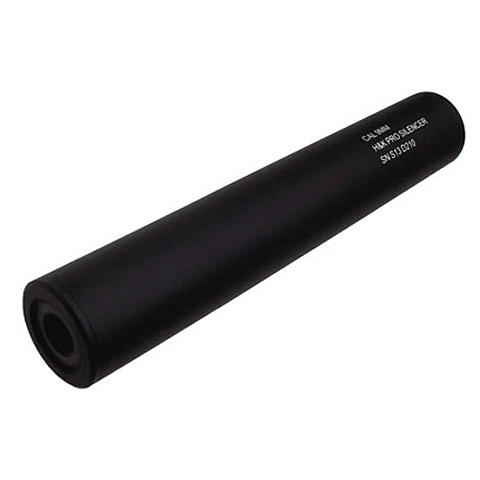 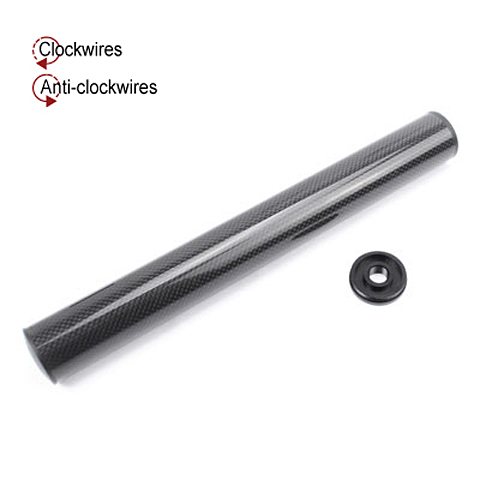 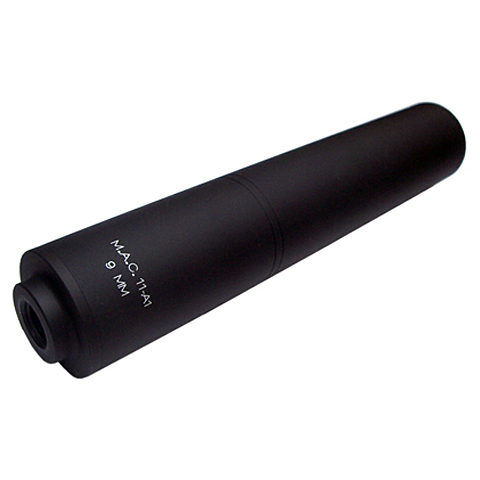 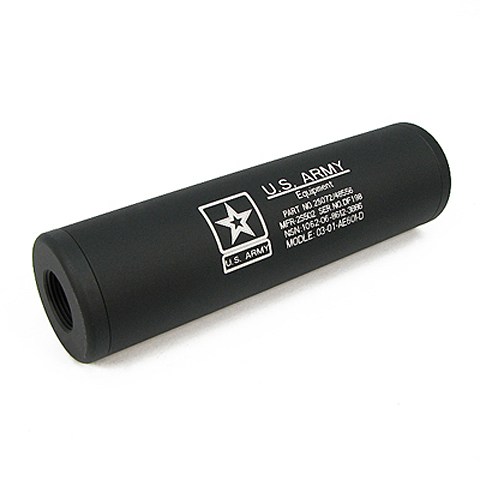 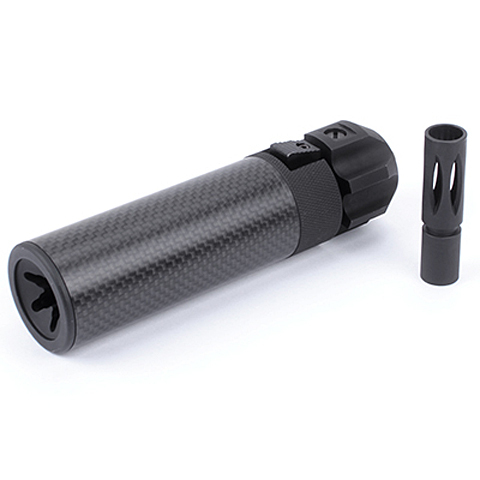 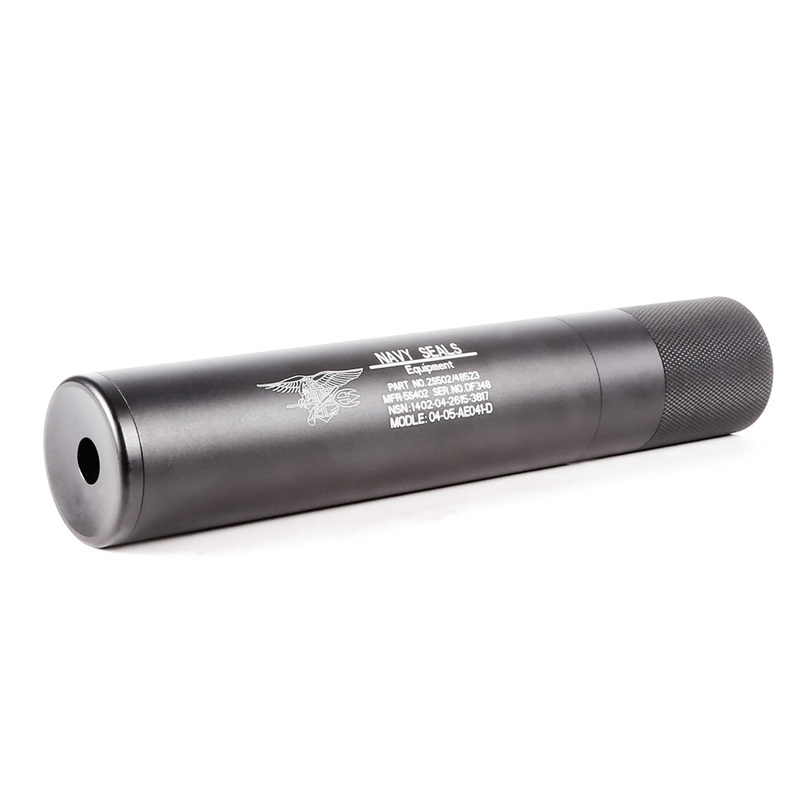 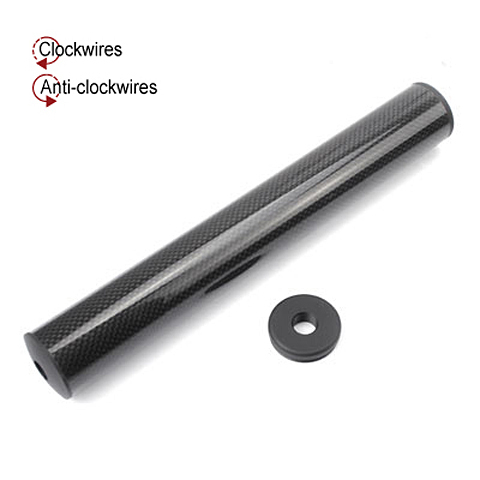 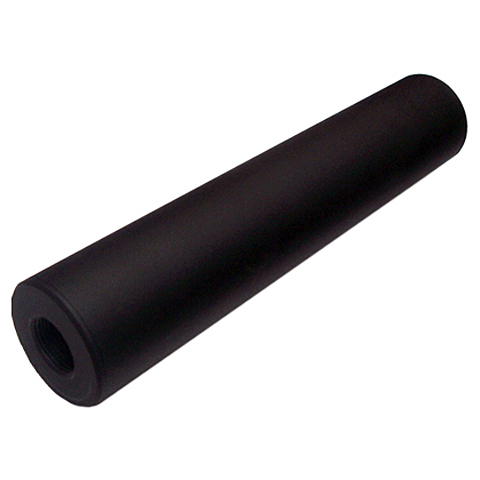 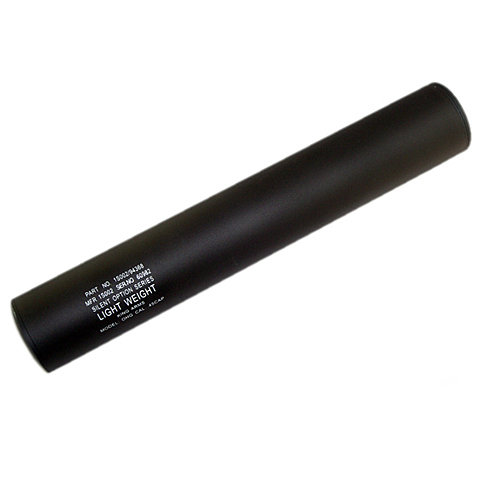 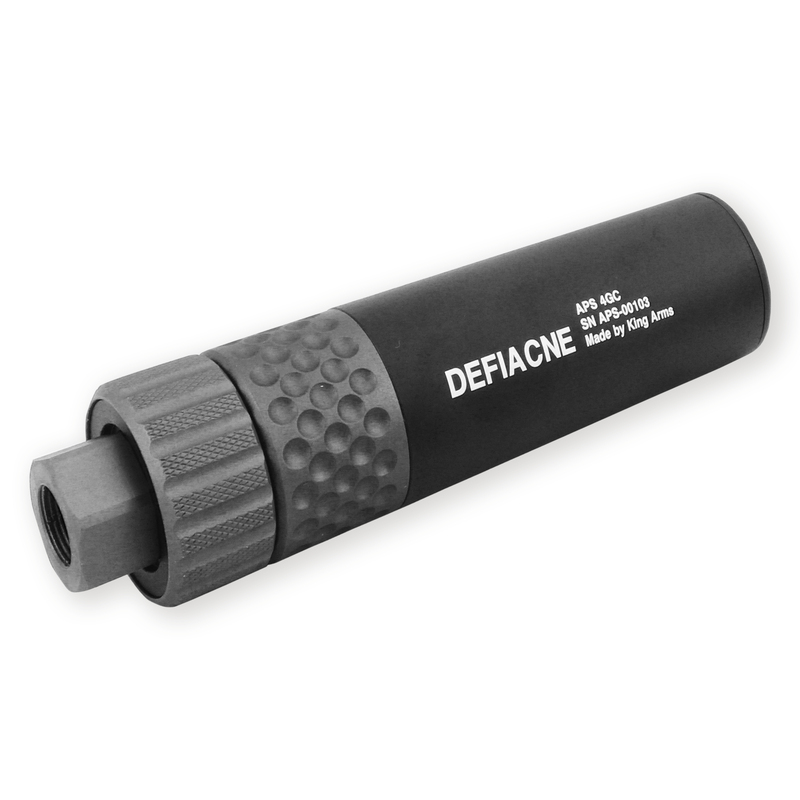 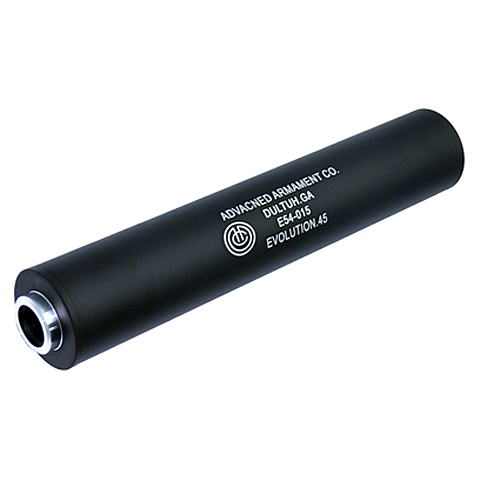 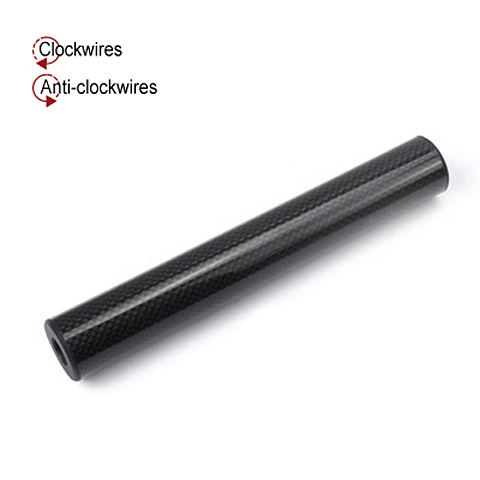 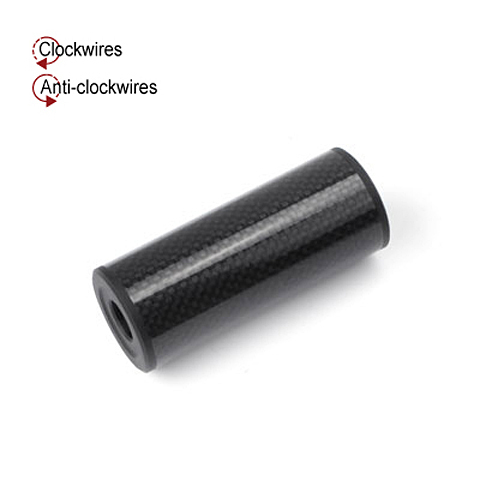 This 16mm+ thread Power Up Carbon Fiber Silencer is made from high quality carbon fiber. 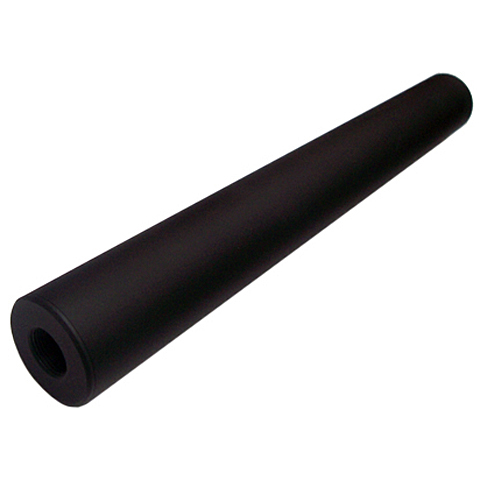 Durable frosted clear coating layers have been applied on the surface to achieve wonderful finishing and protection. 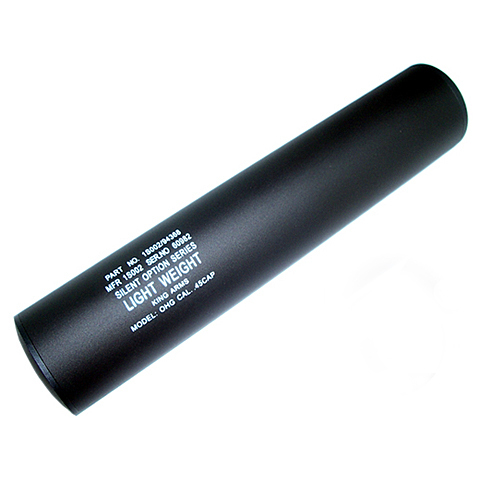 They are also extremely lightweight so it will not affect the user's mobility. 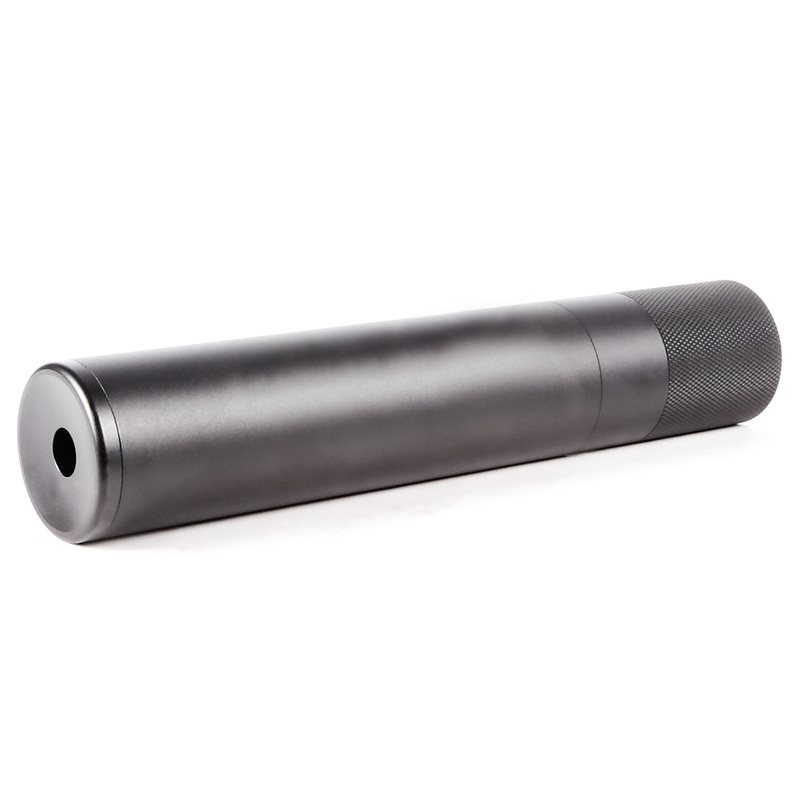 The silencer is integrated with a 6.03 inner barrel extension to increase the power of the gun. 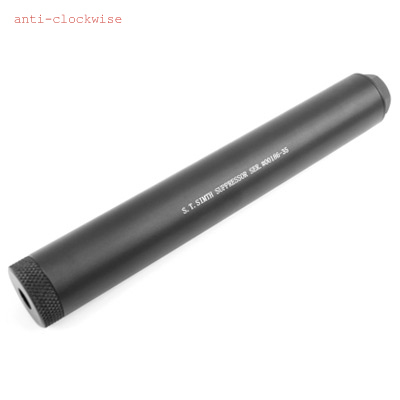 Although it is specifically designed for KWA KRISS, it is also compatible with other 16mm+ thread guns such as Umarex MK23 and USP.45 Tactical with some modification or without the inner barrel extension. 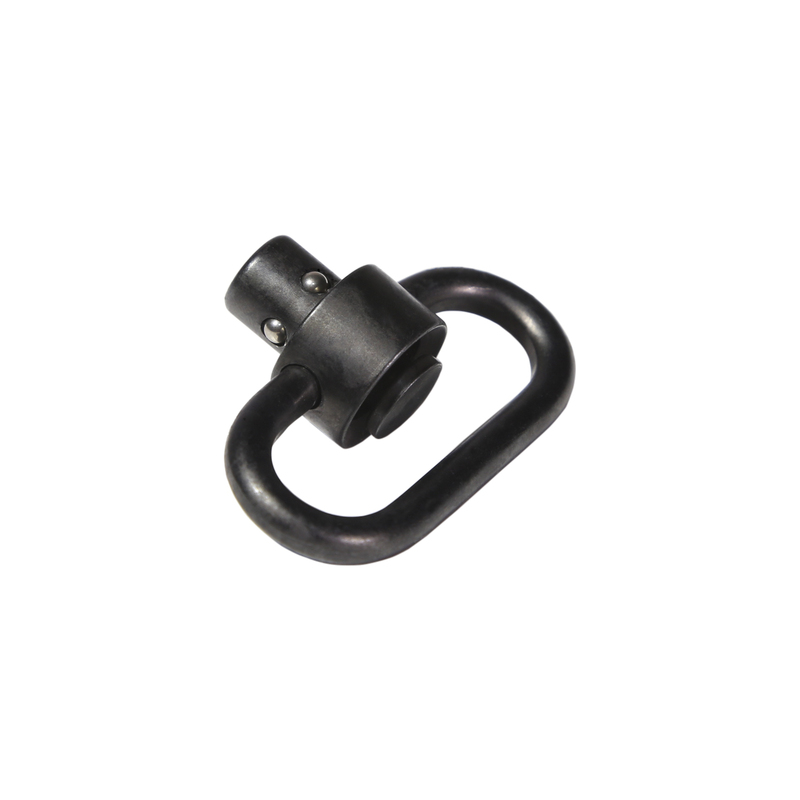 Push button QD sling swivel. 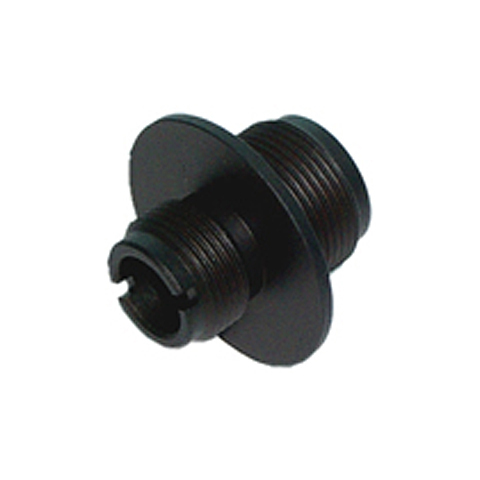 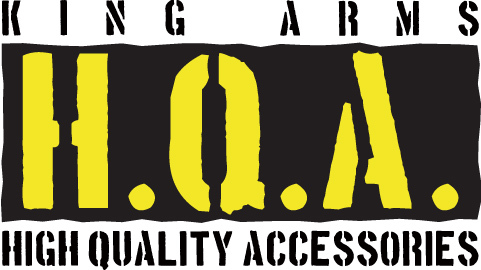 Constructed of high-strength steel with a black finish. 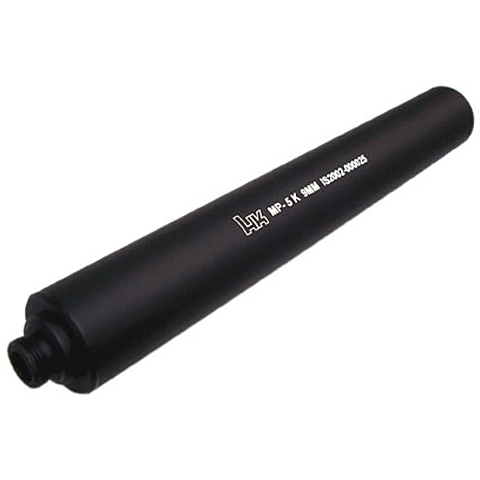 MPX QD Silencer 41 x 186 mm The silencer will fit MP9. 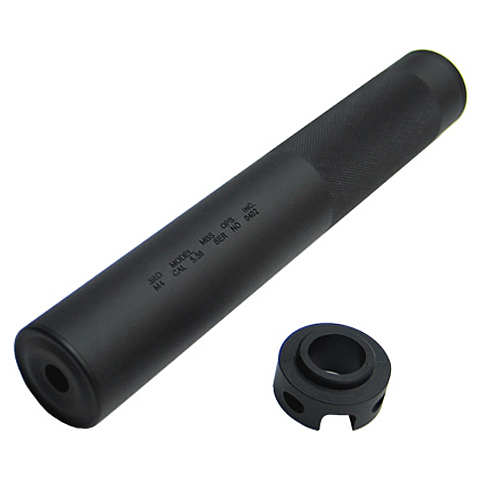 MPX QD Silencer 41 x 186 mm with adaptor The silencer will fit MP9 and 14mm thread outer barrel. 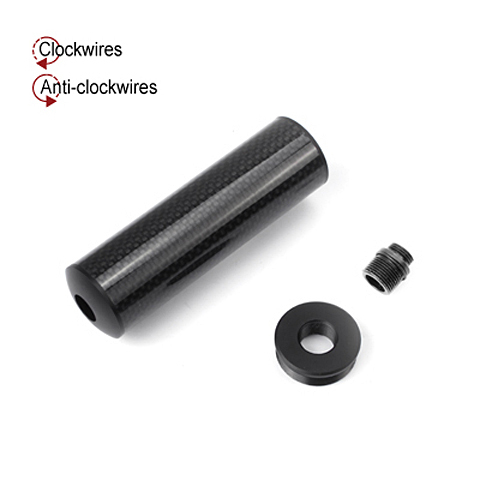 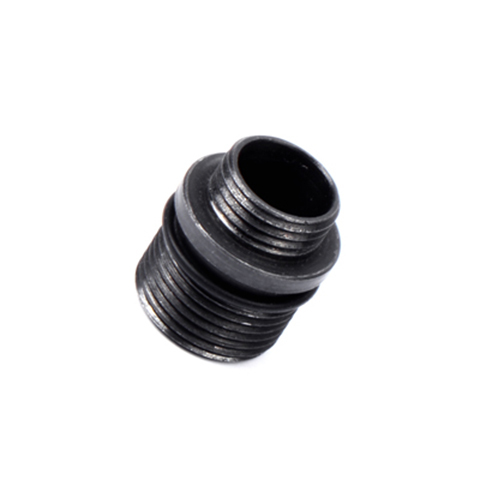 Package includes a 14mm clockwise and a 14mm anti-clockwise adaptor. 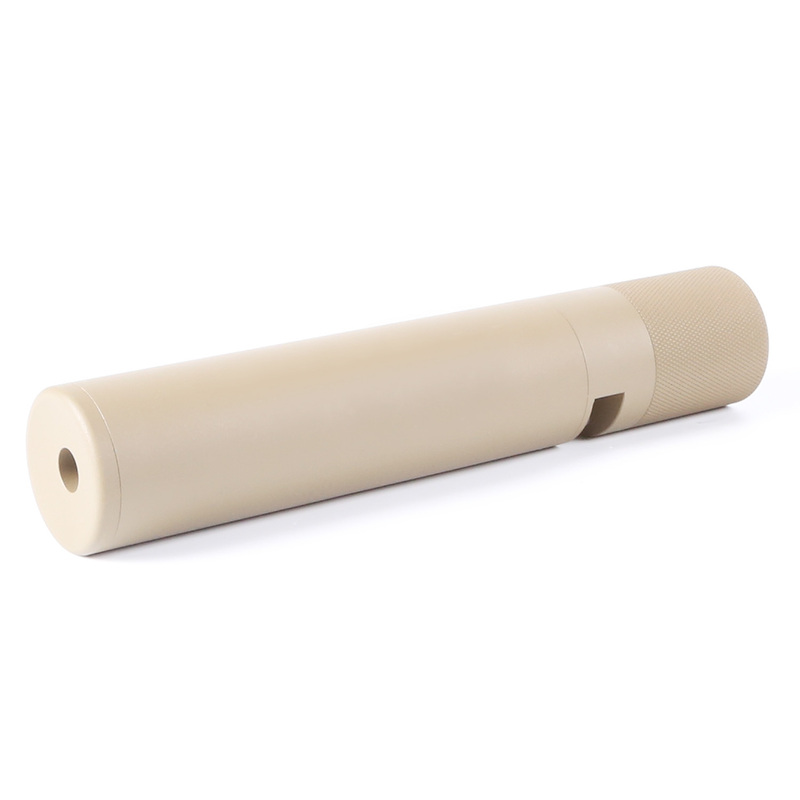 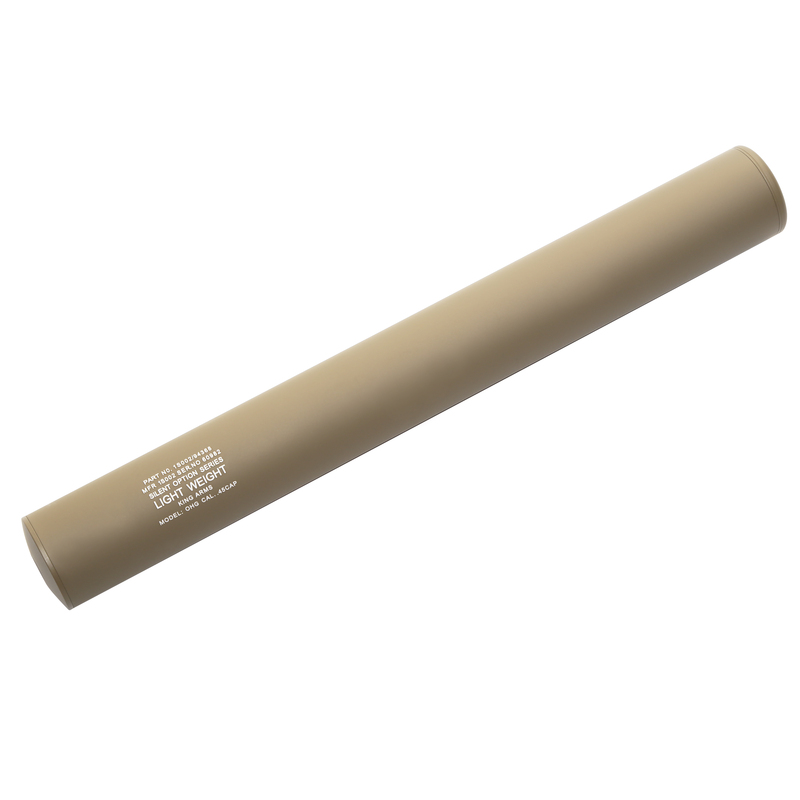 S.T Smith Silencer 35 x 80 mm The silencer will fit anti-clockwise thread outer barrel. 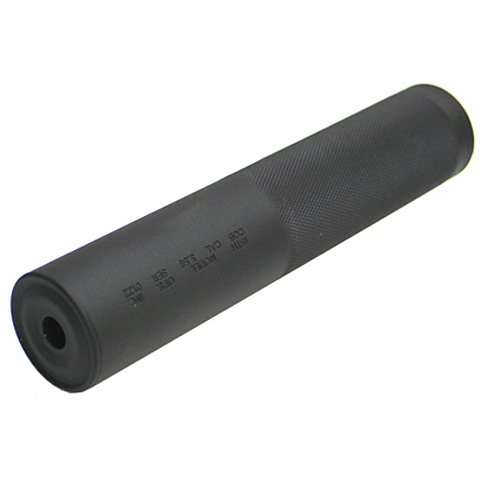 S.T Smith Silencer 35 x 180 mm The silencer will fit anti-clockwise thread outer barrel. 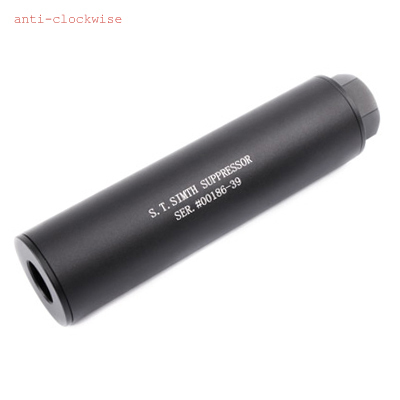 S.T Smith Silencer 35 x 220 mm The silencer will fit anti-clockwise thread outer barrel. 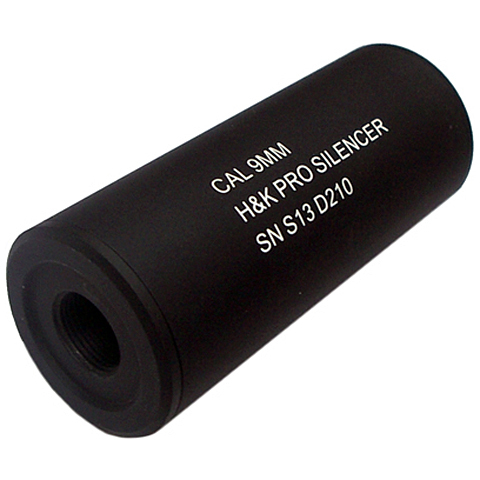 SP90 MPX Silencer with adaptor The silencer will fit MP9 and 14mm thread outer barrel. 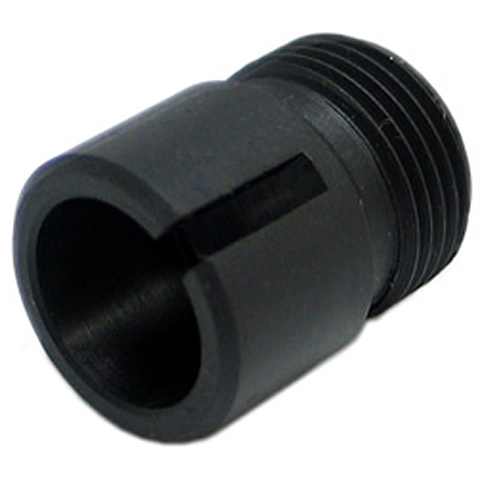 Package includes a 14mm clockwise and a 14mm anti-clockwise adaptor. 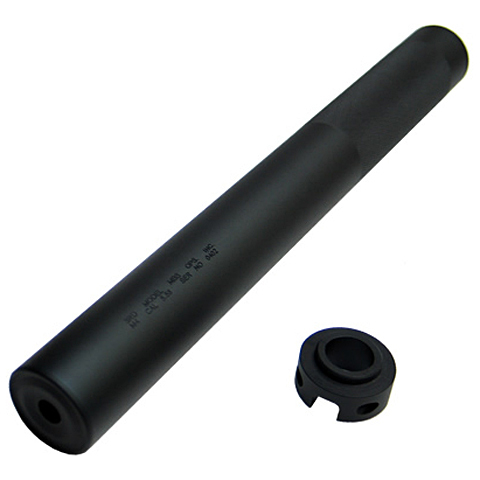 MPX QD Silencer 38 x 250 mm with adaptor The silencer will fit MP9 and 14mm thread outer barrel. 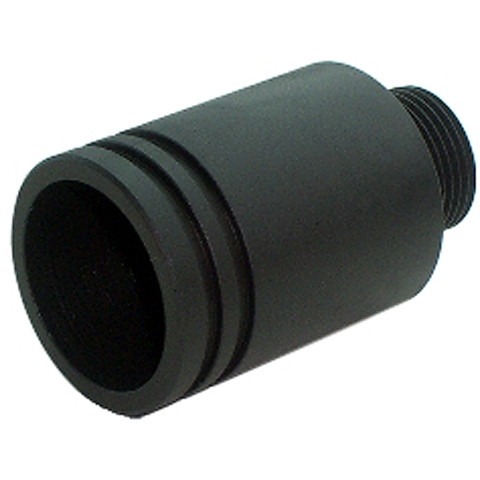 Package includes a 14mm clockwise and a 14mm anti-clockwise adaptor. 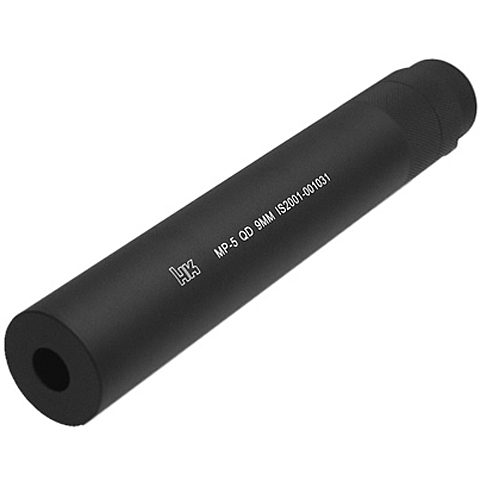 MPX QD Silencer 35 x 200 mm with adaptor The silencer will fit MP9 and 14mm thread outer barrel. 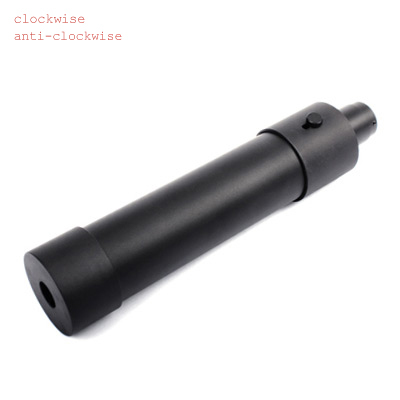 Package includes a 14mm clockwise and a 14mm anti-clockwise adaptor. 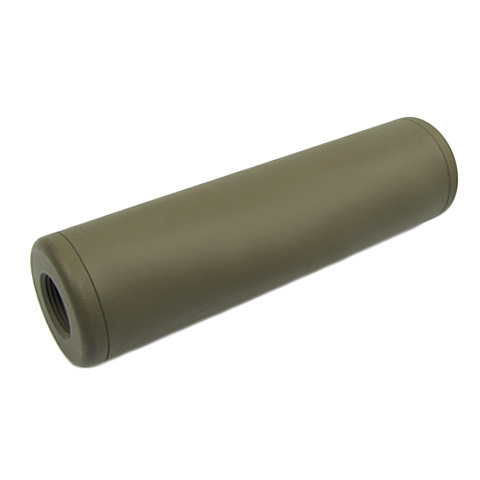 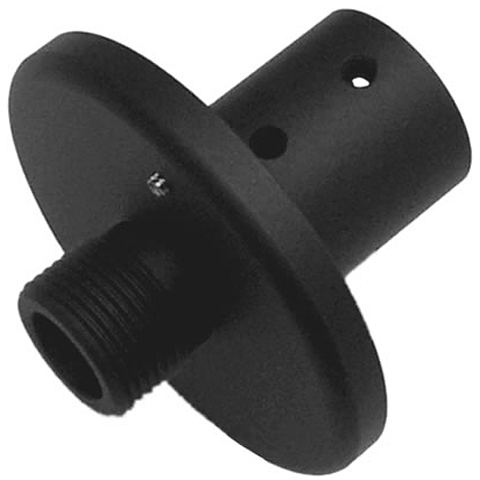 S.T Smith Silencer 30 x 110 mm The silencer will fit anti-clockwise thread outer barrel. 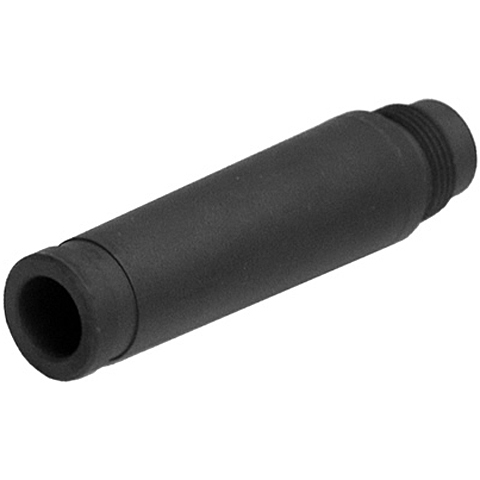 S.T Smith Silencer 30 x 110 mm with adaptor The silencer will fit 14 mm anti-clockwise thread outer barrel. 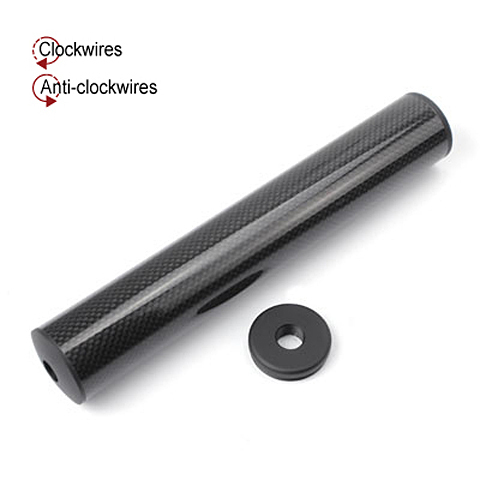 Package comes with adaptor for pistol. 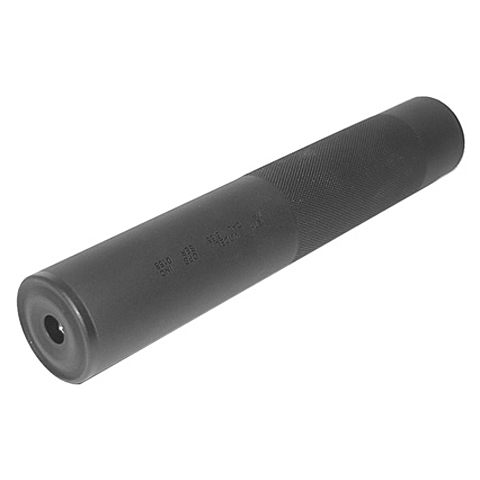 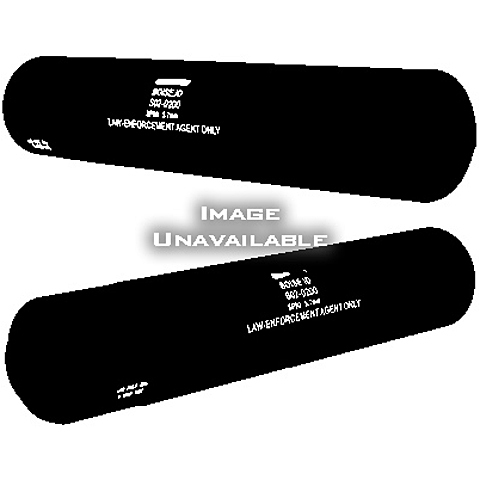 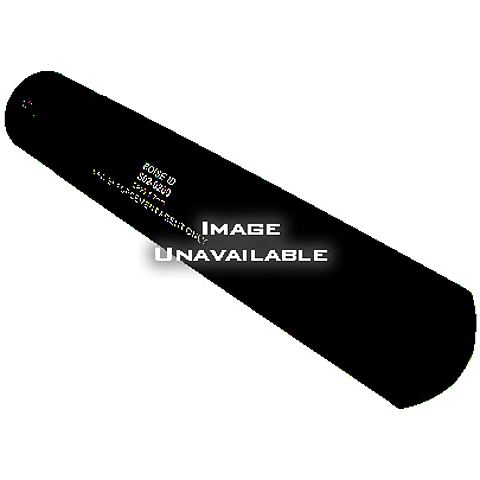 MPX QD Silencer 30 x 170 mm The silencer will fit MP9. 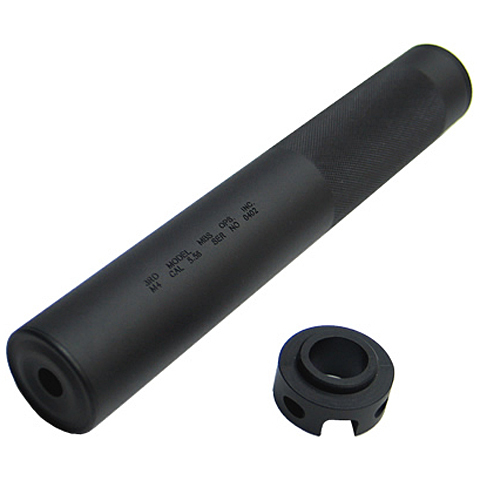 MPX QD Silencer 30 x 170 mm with adaptor The silencer will fit MP9 and 14mm thread outer barrel. Package includes a 14mm clockwise and a 14mm anti-clockwise adaptor. 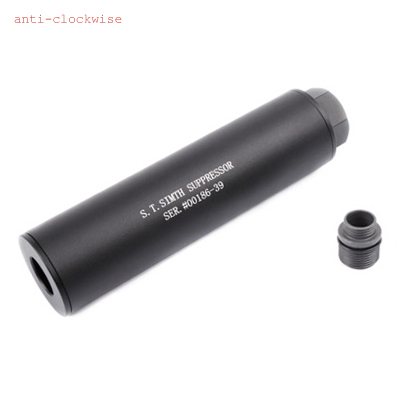 335mm length silencer in DE color with anti clockwise thread adapter. 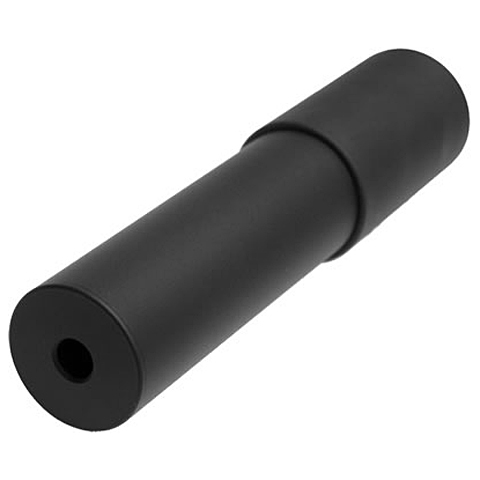 290mm length silencer in DE color with anti clockwise thread adapter. 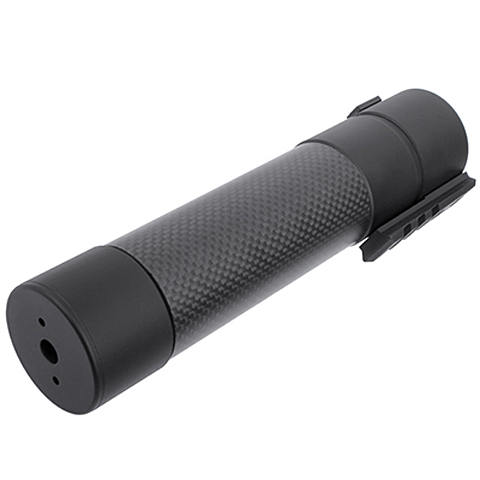 The Auto Tracer is made from high quality Aluminum, ball bearing quick detach, equipped with a sensor that will trigger an illumination device to light up internally when a 6mm projectile is fired. 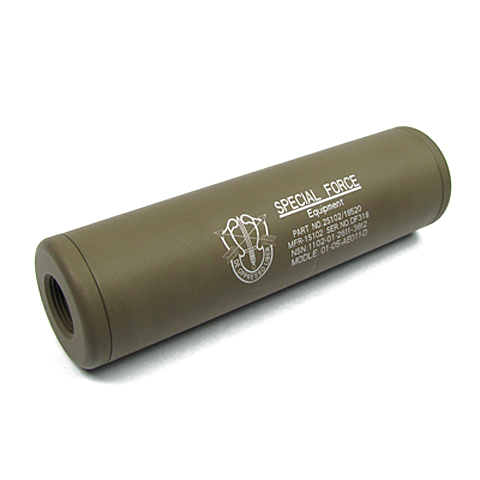 Tracer units require that you pair them with glow-in-the-dark / tracer Airsoft BBs for full effect. 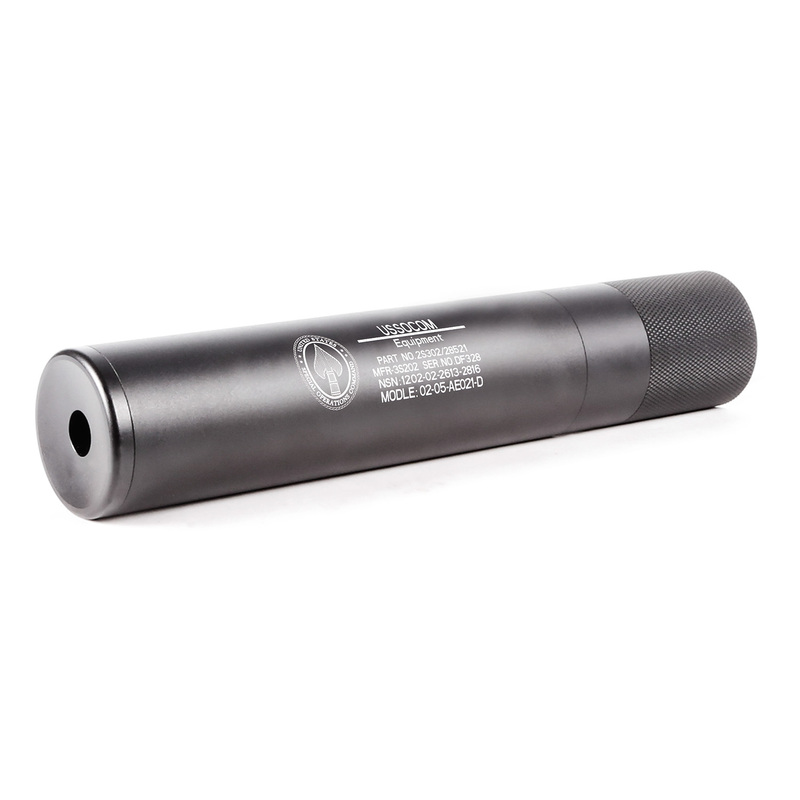 Tracer rounds are easy to follow in a dark night and make target acquisition much easier. 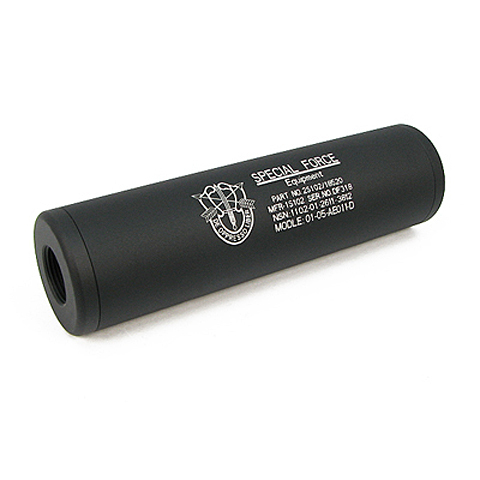 The tracer will also work with regular BBs as a mock silencer or barrel extension, enhancing the look of your gun and BBs. 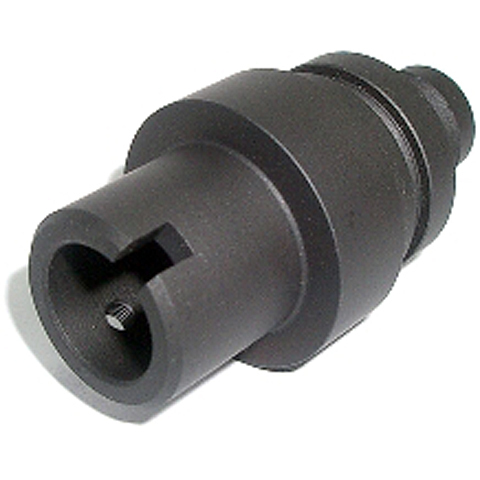 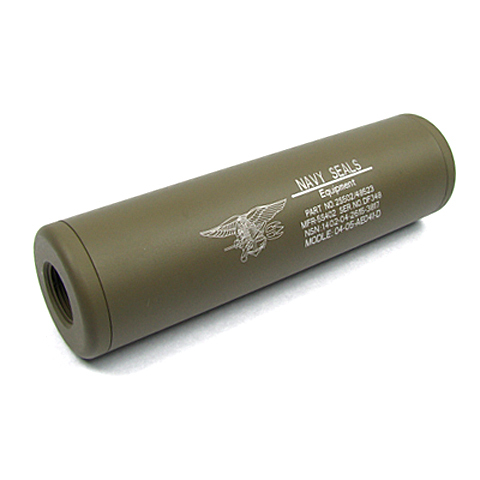 Available with standard M4 / M16 birdcage flash hiders, easily to install and remove on the fly.